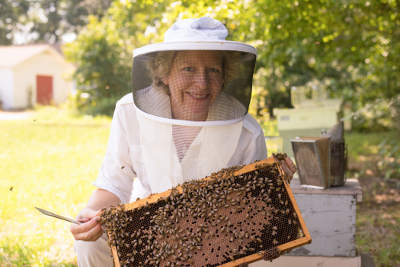 Honey Pond Farm is a small, honey bee operation located outside Athens, Georgia, which specializes in teaching classes, raising queens and 5 frame nucleus colonies (nucs). It has been our goal, from the beginning, to concentrate on quality versus quantity and hence return to a gentler approach to raising bees in a more sustainable way which is safer for the environment, the bees and the beekeeper. We are now taking orders for our 2019 spring nucleus (nucs) . We are currently sold out of our Early Nucs and are no longer taking orders. However, we are still taking orders for our Later Nucs which will hopefully be ready end of April, or first part of May. 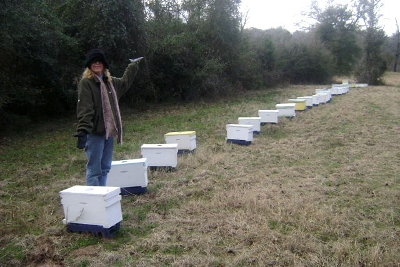 Jennifer Berry is the owner and operator of Honey Pond Farm as well as the Research Professional and Lab Manager for University of Georgia Honey Bee Lab.